I originally made this tart months ago on a day when I apparently was not “all there”. Not unlike like the day I asked Brent how I could thicken up pasta sauce. The answer of course is tomato paste but I was having a blonde moment. Well, maybe I should say a “brown out” since I’m a brunette. When I made this recipe originally it was fantastic and we both loved it. There was one minor glitch however. When I decided to make this for dinner, the store didn’t have gruyere. (Big FAIL to you Mr. Grocery Store.) I was NOT in the mood to try another store, so I went to the deli and asked them to slice me the amount I needed. I found out later that gruyere from the deli doesn’t melt all that nicely. So instead of a nice cheesy, melty layer of gruyere…this had little thin sticks of gruyere. Brent said he liked it like this, but I was bummed for several reasons and even though I kept the pictures, I never posted it. 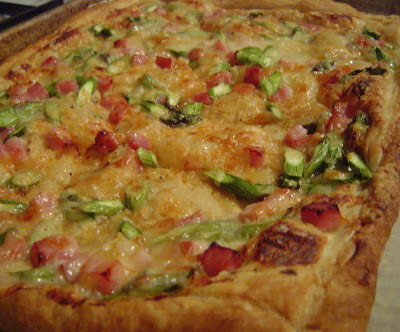 I decided to make it again since Easter is this weekend, and I think it would be an absolutely fantastic way to use up leftover ham. I made a few adjustments from my first attempt and I think it was for the better. 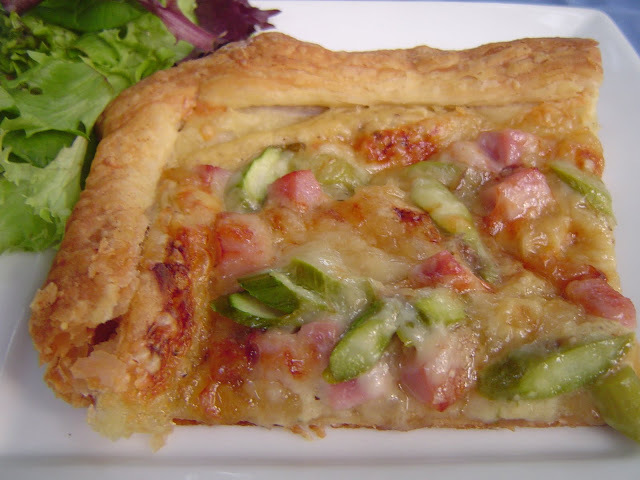 This recipe has ham, asparagus, gruyere cheese, caramelized onions, and a Dijon béchamel sauce. 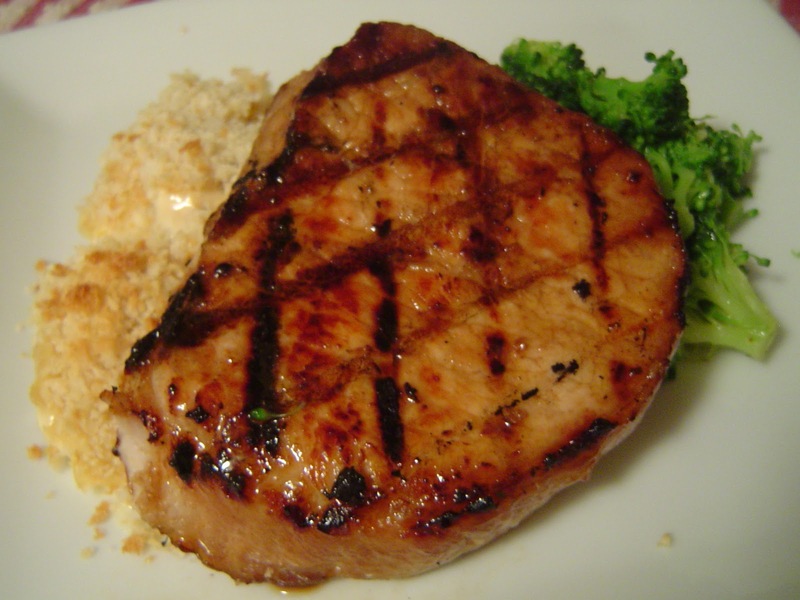 It is the perfect storm of yummy goodness. 1 – In a medium sauté pan add 2 tablespoons of butter and diced onion. Sauté over medium low heat, keeping pan covered when not stirring occasionally. Cook until onions are caramelized, about 25 minutes. Click here for more detailed instructions on caramelizing onions. 2- While onions are cooking, take asparagus spears and trim the ends. (To find out where to trim, take a few and “snap” them by bending. They will naturally break where you will want to cut.) Next slice them thin and on a bias. Set aside. A few weeks’ back– ok ok, months - Brent’s mother had a get together at her house for the family. She was having a good ol’ southern fish fry and I decided to make some peel n’ eat shrimp to share while we all waited for Brent to fry up pounds and pounds of tilapia, catfish, and grouper. I’ve wanted to make peel n’ eat shrimp at home since October when Brent and I took a short getaway to Orlando and we had some pretty great ones at Jimmy Buffett’s MargaritaVille at City Walk. Normally I don’t eat “messy” things like this in public, but they turned out to be a perfect midday snack as we took a break in between the two parks. 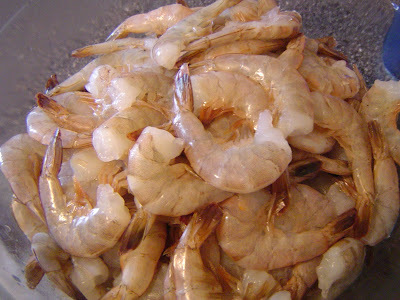 1- Make sure your shrimp are properly deveined and clean but the shells still on. In a large pot add beer, crab boil, and old bay. Fill pot 2/3 full with water and bring to a boil. 2- Once pot is boiling add shrimp and cook for 2-3 minutes or until shrimp is just pink in color. Remove from heat and drain. 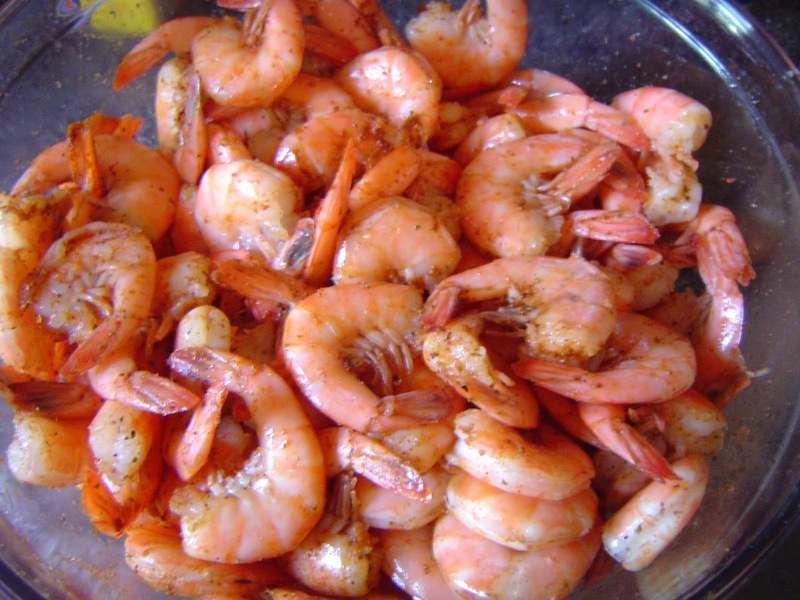 3- Allow shrimp to cool and sprinkle with extra seasoning if you like. Chill shrimp for at least an hour before serving. Thoughts: These are perfect for a summer get together – preferably an outside one! Keep them well iced and a garbage bowl near for the shells. People can dig in, peel, and enjoy. Pair them with the cocktail sauce recipe below or whichever brand you prefer. 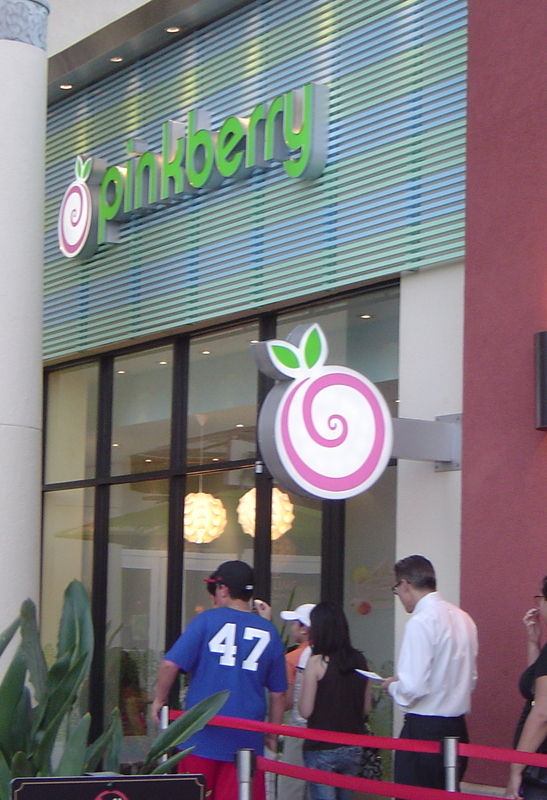 Last week I was lucky enough to be invited to the Grand Opening event for the Tampa Bay area’s first Pinkberry store. 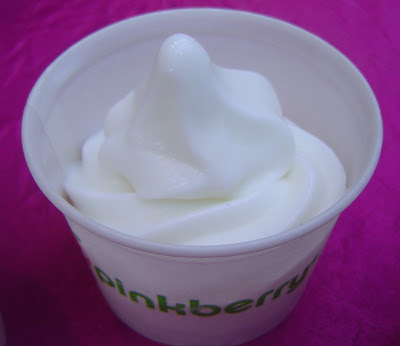 For those of you who aren’t familiar with it – Pinkberry is a premium frozen yogurt chain that first opened in West Hollywood in 2005. I have friends in California, so I was familiar with their product but never had the chance to try it. So when their local PR rep invited me to the VIP event last Thursday, I said yes without thinking twice! When I told Brent about the event, I was actually surprised he agreed to go with me. While I love yogurt – frozen or not – he is not a big fan of it. Still he was very interested in going and wanted give it a try and I think he’s glad he did. In fact, I think he may actually like frozen yogurt now. We showed up at about 7:15 Thursday night. The official start time was 7PM and it was already pretty busy. I really shouldn’t have been that surprised since Tampa Tweeps were twittering about the Grand Opening and free Pinkberry all day. Foodies were definitely excited about it. 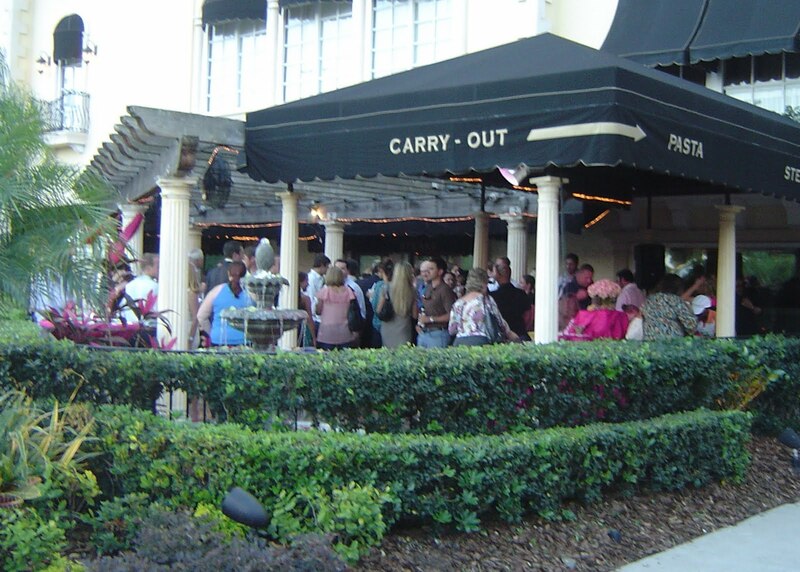 The Tampa store is located in Westshore Plaza mall next to PF Changs and Maggiano’s. The latter which loaned their patio for the event. After we arrived we went to the bar to get some refreshments. 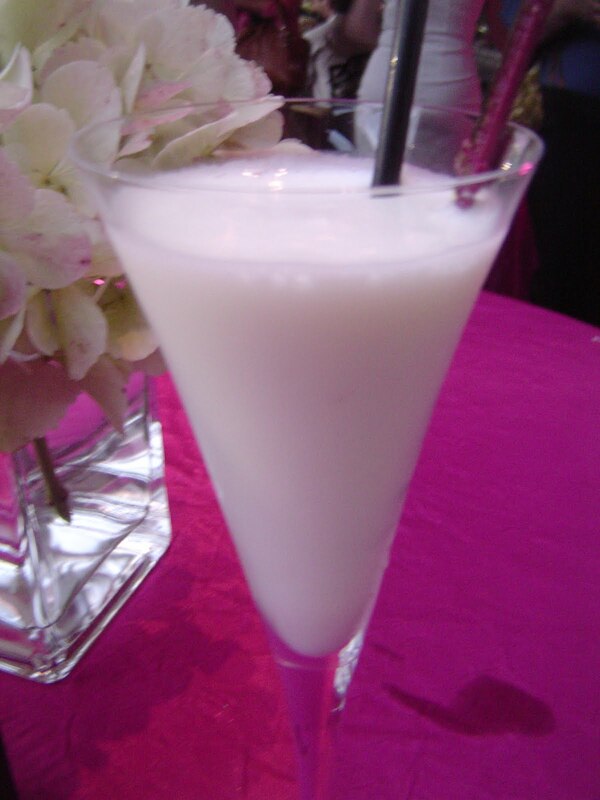 They had created two special cocktails for the event using the frozen yogurt. I made sure to try both of them. 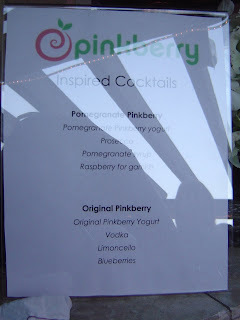 The first one I tried was the Pomegranate cocktail which was made with Pinkberry pomegranate frozen yogurt, prosecco, pomegranate syrup and was garnished with fresh raspberries. It had a lovely pink color which matched the bright pink tablecloths. My friend C would have loved it. Out of the two specialty drinks this one was my favorite. 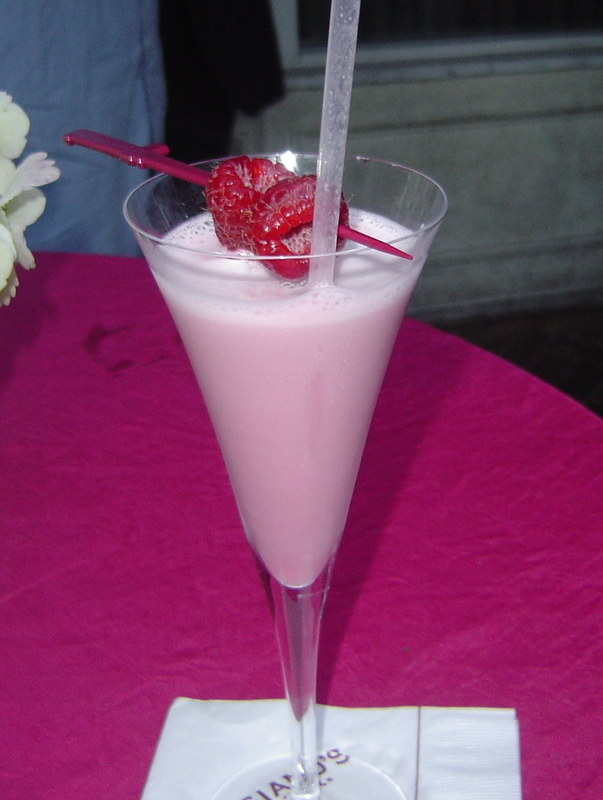 It was slightly sweet, creamy, and the alcohol flavor didn’t overpower the fruitiness. A while later I tried the Original flavor. 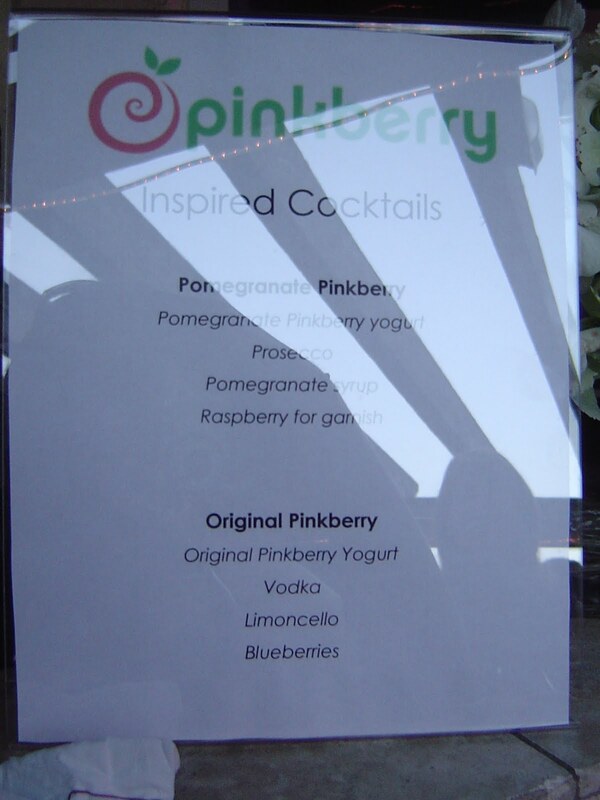 This one was made with the original Pinkberry frozen yogurt, limoncello, vodka and had fresh blueberries for garnish. It had a more prominent alcohol flavor and was a bit tart but still refreshing. Shortly after we got there we noticed Pinkberry employees circling with some samples. We grabbed a few and a nearby table and started to sample. We tried all six flavors they were offering that night: Mango, Original, Lychee (the seasonal flavor), Coconut, Chocolate, and Pomegranate. The original flavor was not too sweet and a little tangy. Brent described it as a “mellow sour cream flavor”, but to me it was more Greek yogurt tang. It had a light creamy texture and would be a great blank canvass if you wanted to load up on toppings.